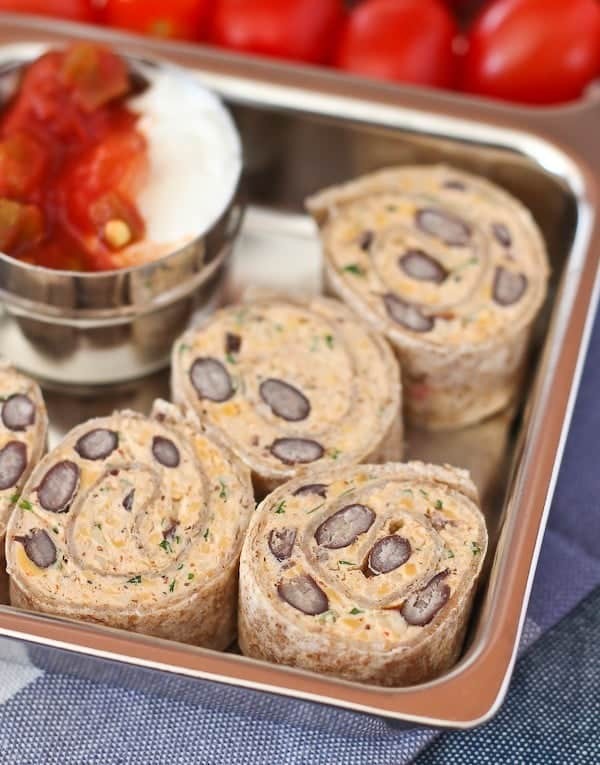 These bean and cheese taco rolls are the perfect lunchtime treat — imagine a cinnamon roll except take out the cinnamon and add lots of great southwestern flavor! Picture a soft, chewy, gooey cinnamon roll. Got it? Now take out the cinnamon and sugar so you’re left with that soft swirl of dough. Got that? Now, add in tons of gooey cheese, flavorful green onions, and refried beans flavored with taco seasoning. 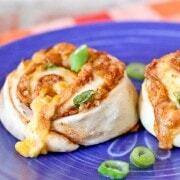 Picture that cheese and bean mixture bubbling and forming soft, doughy rolls filled with amazing southwestern flavor. Sound like something you’d want to eat? I know I do! I’ll admit, the first time I took these bean and cheese taco rolls out of the oven, I thought the recipe was a failure. You might too, be warned. Some of the filling does ooze out, but rest assured, there is plenty left inside each one of these rolls. From the first bite, I knew the recipe was a success. And I for one love the crispy cheesy “crust” that forms on the bottom of each of these rolls. 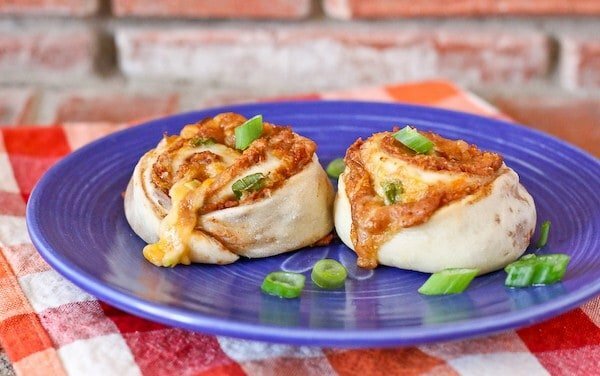 I used a store-bought pizza dough to make these rolls but you can use your favorite homemade recipe too. All you have to do is roll it out nice and thin and then spread with your bean/taco seasoning mixture. Sprinkle with cheese and green onions, roll up, slice, and bake! You’ll want to let them cool just slightly before eating so that the filling has a chance to set back up slightly. 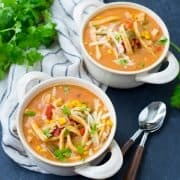 This recipe is great for the day after tacos night too. 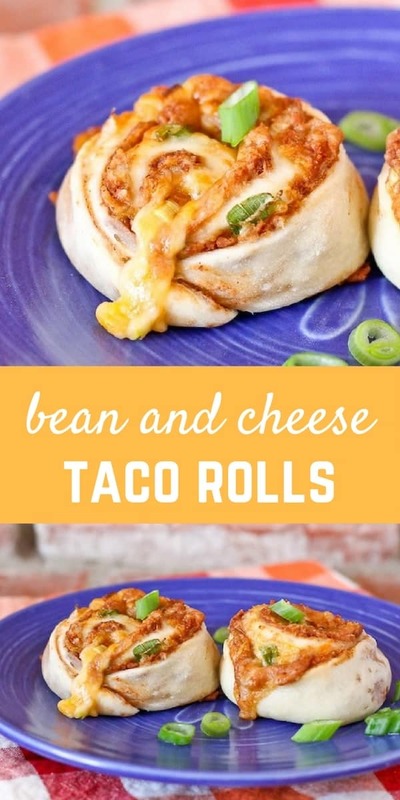 If you had some leftover taco meat, you could add that to these rolls (just don’t add a TON or they won’t roll up well – I’d recommend 3/4 cup or less). In a small bowl, mix together refried beans with taco seasoning. On a floured surface, roll out pizza dough to about 11×15-inches. Spread beans over dough all the way to the edges. Sprinkle with cheese and then green onions and pat down gently to adhere to the beans. Starting from the long end of the dough, roll dough tightly into a roll. Carefully cut slices off (about 1-inch each). Place on a parchment paper lined rimmed baking sheet. Cook in preheated oven for 14 minutes or until golden brown. Some of the filling may leak out – that’s okay. Let cool slightly (2-3 minutes) on the tray before serving. 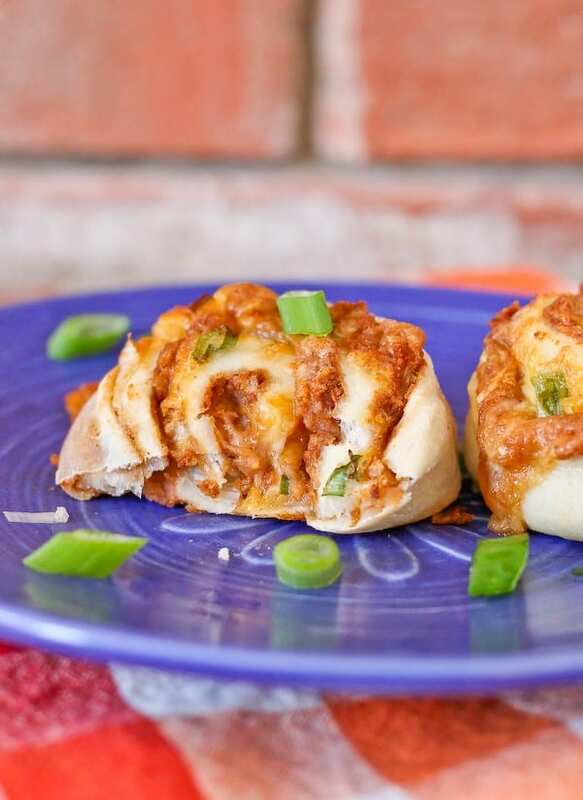 Psst – if you love a taco and you love a roll, make sure to also check out my southwestern cream cheese tortilla roll ups! 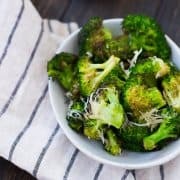 Roasted Parmesan Broccoli Recipe – Easy! This is such a fun idea! My husband would be all over these..and so would I.
Oh I love this savory take on cinnamon rolls, especially since you used pizza dough to make it even more on the savory side. These would be perfect for Cinco de Mayo coming up! So…these are amazing. We are taco, cheese, dairy, fanatic everything over here. I love the simple idea that looks like a flavor-packed meal. 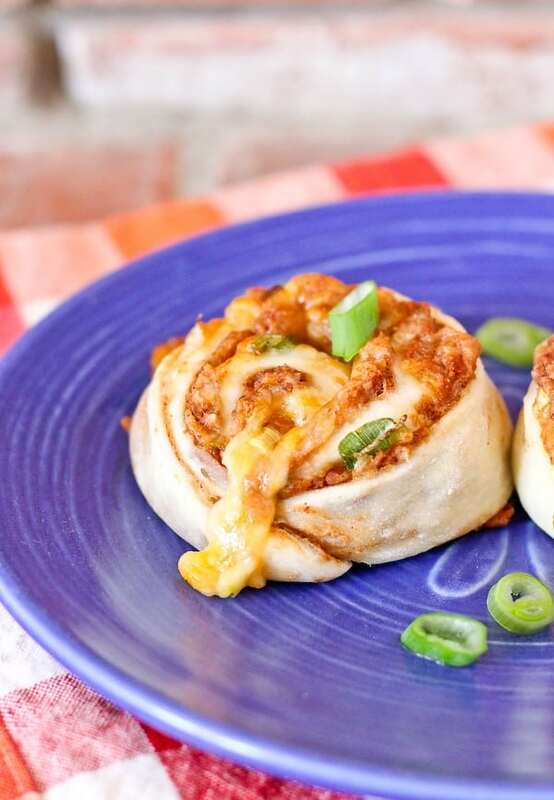 I don’t think I’ve ever thought about a savory “cinnamon” roll, and thus am feeling like you’re a genius ;) These look fabulous in every way and I bet my husband could take down an entire batch! I LOLed at “Imagine a cinnamon roll except take out the cinnamon.” It really is the perfect way to describe these. And since I’m not a fan of cinnamon rolls (too sweet for me), I would take these over that ANY DAY OF THE WEEK. Even at breakfast! Love love love this fun recipe. Mmm this is seriously genius and basically a dream come true!! What a fun cinnamon roll reinvention! This would be the ultimate after school snack. My boys would devour them! omGGGG I’m so all over this in about five minutes. Literally all of these would be gone in minutes. I’d eat them all myself! Perfect recipe! There is absolutely nothing wrong with a little ooze when it comes to something delicious like this!! My kids would love me forever if I made these for lunch one day! These are just genius!! LOVE, LOVE, LOVE!!! 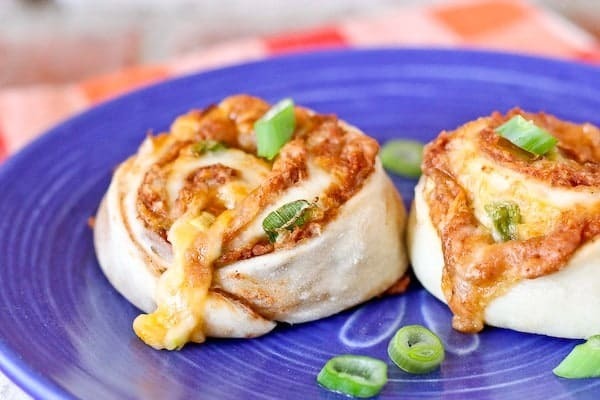 We are huge fans of Mexican food and these rolls need to happen! Our kiddos will love them! Pinned! Absolutely love these! Printed out for next week. I cannot wait to try these! That crispy, cheesy crust sounds delish! Totally in love with these taco rolls! They’d be perfect for lunch! This sound fantastic! These would make a great snack or even a nice light lunch. I totally wish I had a couple of these right now! They look so cheesy and delicious and I’d love to dunk ’em in hot sauce. YUM! This is such a great idea, I know my family would love them! These look so good! I don’t eat ground meat so these are perfect! 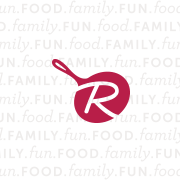 Heck yes this sounds like something I’d eat…that the whole family would eat! Delicious idea. What a fantastic savory appetizer or dinner for that matter. Pizza does is so versatile. Yummy in my tummy. A cinnamon roll but with beans and cheesy ooey gooey goodness? AM I DREAMING?! These sound, and look, amazing Rachel – I can’t wait to stuff ’em into my face! Pinned! Ok, so that might be the most delicious treat I ever saw!!! YUMMY!